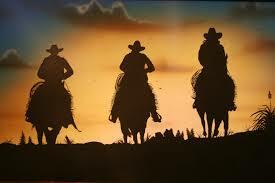 I relate the song “The Cowboy in Me” to the way I used to be and how I have tamed the ‘Cowboy’ in me. I have channeled that type of mania and carelessness into confidence and motivation. I am stronger sober now that I ever used to be under the influence / active alcoholic. I look forward to the present and to the future without the stress, anxiety, shakes from withdrawal, difficulty in my relationships, etc, one day at a time. Even though my anxiety still occurs in anywhere I go and I am still a homebody, I enjoy cutting loose a little bit as a sober father, husband, son, brother and friend. I have enjoyed my life more the last four years and also clearly remembering the last 4 years of my life. I still get a little manic at times and have my depressive stages, but overall I live a free life. A very close person in my life recently emailed and asked me some questions about bipolar and how to go about being tested / diagnosed. This person actively drinks alcohol on a regular basis and I told him in my response that no doctor in the world can accurately diagnose or treat a person while you are still under the influence of substances. Substances change the chemical make-up of your body and change how you would respond to normal situations and adversity. I have noticed that over the last couple years, the ‘cowboy’ has really shown in his life and I have been praying for him on a daily basis. He is facing himself in the mirror and is not liking what he see’s and realizing he has inner-demons that are causing havoc in his ability to be the father and husband he wants to be and he continues to isolate himself from his family. He is a great father and husband, but now is starting to identify that he could be better. I write about this story because it’s is critical to identify the real personal characteristics hindering you from what you want to be or do in life. Focusing on being diagnosed for a mental disorder when you have another elephant in the closet is counter productive, but on the other hand, it may lead to someone identifying that you have a substance abuse problem / addiction. The problem is, once a person hears that from a professional, they will most likely never go back. There is also the fact that the person using alcohol or substances is usually not honest with how much they use because the demon of addiction is protecting itself. I have personally lived this life since I was about 18 years old and now I am 36. I protected the demon of addiction for over 14 years (been sober for the last 4 yrs). The person close in my life responded, but never referenced his alcohol use / abuse. I found this as a red flag in that he is not taking responsibility to truly identify an action and characteristic of himself that is causing the most problems in his life. He also may have bipolar and is self-medicating that disorder with alcohol, as I did, but did not realize how that worked until my stint in La Hacienda Treatment Center. I believe alcohol and drug addiction always has to some relation to self-medicating to hide something or not face that elephant in the closet. While using as an alcoholic or addict, a person will use anything in their power to protect their addiction and it doesn’t matter what it is. Self-awareness and proper identification of the whole-self is essential to the proper treatment of all mental disorders and addiction disorders. Here are some songs that I can relate to and lyrics to support my emotions. THE COWBOY IN ME – “The face that’s in the mirror when I don’t like what I see, I guess that’s just the cowboy in me” – Tim McGraw. Posts like these keep reinforcing for me that the choice I’ve made to leave my husband is the right one. He is an alcoholic. And now that I’m gone he’s doing everything in his power to get me back – EXCEPT facing himself. It’s so easy to get lost in the lies of an addict telling you that they’re changing…the conversations we have keep showing me that his addiction is doing anything to protect itself. He hasn’t let himself become vulnerable and until he does I, sadly, cannot return. Thanks for sharing the journey of addiction and recovery!